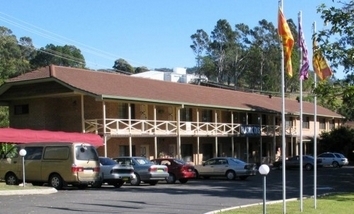 Situated next to the iconic Big Banana, Country Comfort Coffs Harbour offers a range of spacious accommodation options to suit families, couples or the solo traveller. Whether travelling for business or leisure, relax in one of the largest motel rooms available in town. With free wireless internet, and Foxtel TV, all our rooms have en suite bathrooms, tea & coffee making facilities and air conditioning. Relax by the sparkling pool, challenge your friends to a game of tennis. Just minutes from the popular Park Beach Plaza shopping centre, Country Comfort Coffs Harbour is the perfect choice for your next visit to Coffs Harbour. 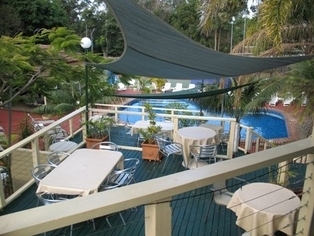 Country Comfort Coffs Harbour offers a variety of accommodation options to cater for all needs. Whether travelling with your family, enjoying a romantic getaway for two or staying with us for business, we have a room that will suit you. Choose from our well appointed rooms. Enjoy an extensive Buffet Breakfast in our Restaurant. Help yourself to a range of delicious items including a variety of cereals, fruit juices and freshly brewed tea or coffee bacon scrambled eggs and more you wont be disappointed. After a busy day of business, exploring the local area or just relaxing by the pool what could be more convenient than taking a short stroll from your room to the Bar & Grill Restaurant for dinner. Our fully licenced restaurant offers a varied A la Carte menu and our friendly staff will ensure your evening is a memorable one. For that extra touch of comfort, relax in you own private spa in our Deluxe Room. With a Queen bed, tea & coffee making facilities, free Foxtel TV and a balcony area, you will not want to leave the Country Comfort Coffs Harbour. Spacious room with all the facilities you will need for either your business or holiday stay. Queen size bed, large TV, direct dial telephone, tea & coffee making facilities, air conditioning. Work desk and lamp. Twin bedding available on request. Reception will be happy to assist you with all your business requirements including faxing, photocopying and printing. Charges may apply. Contact us on reservations@countrycomfortcoffs.com.au for your function and conference requirements and we will discuss with you how we can satisfy your individual needs. Convenient parking outside your room. Coffs Harbour is mid way between Sydney and Brisbane along the Pacific Highway. 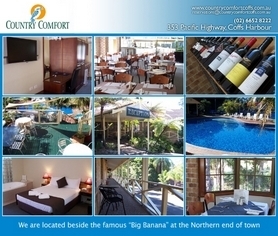 Country Comfort Coffs Harbour is located beside the famous "Big Banana" at the northern end of the town. The beautiful coastal town of Coffs Harbour lays halfway between Sydney and Brisbane making it the ideal place to stop. With its lush tropical rainforests, sparkling sandy beaches and gorgeous marine parks Coffs has something for everyone. 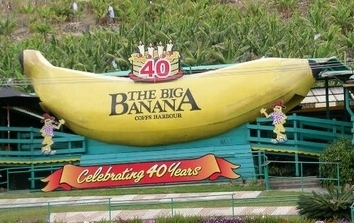 A must see it during your stay is the world famous Big Banana on the northern end of town and the Country Comfort Coffs Harbour offers you comfortable value for money accommodation right next door. 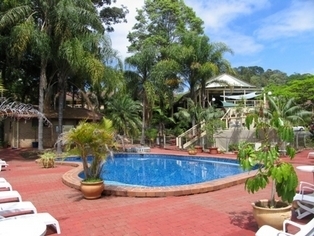 Diggers Beach is an easy stroll from the motel as is the popular Park Beach Plaza Shopping Centre. Venture 25km North to the historic town of Woolgoolga, home to large banana plantations.